The Replacements have been awfully busy since first reuniting in 2013 to play some shows. They’ve released a 25-minute jazz odyssey, finally got invited back to NBC studios, and then played even more shows. But now, while we wait for what possibly might amount to the first new Replacements album in decades, the group is reissuing their entire catalog in a career-spanning box set that includes 1981′s Sorry Ma, Forgot to Take Out the Trash, 1982′s Stink EP, 1983′s Hootenanny, 1984′s Let It Be, 1985′s Tim, 1987′s Pleased to Meet Me, 1989′s Don’t Tell a Soul, and 1990′s All Shook Down. 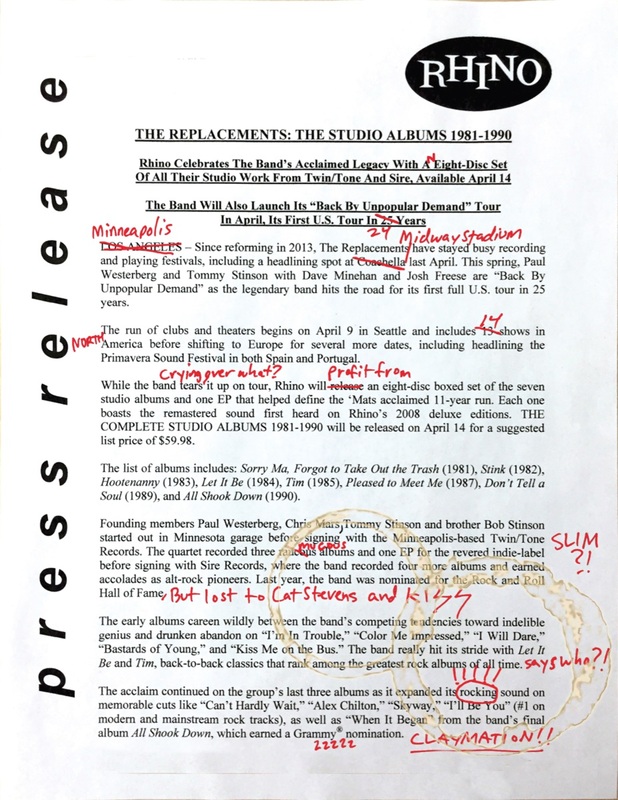 The box set, titled The Replacements: The Studio Albums 1981-1990, will be released April 14 via Rhino, and the LPs will be essentially identical to the fidelity of the remastered deluxe reissues that were released in 2008. Rhino made the announcement with a marked-up press release that was supposedly sent to the band for review (and includes some coffee-mug rings and a note about losing at the Rock ‘n’ Roll Hall of Fame to Kiss and Cat Stevens — nice fact checking!). You can read that below. 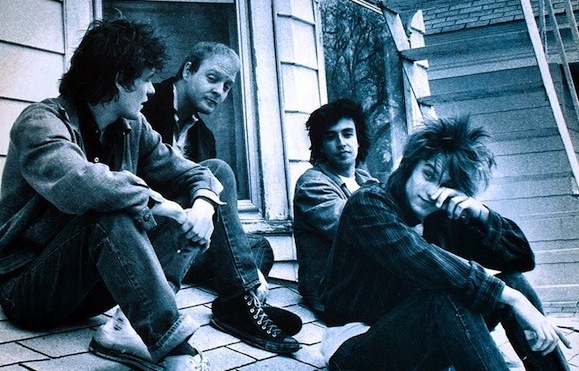 Read our Greatest Hits feature on the best Replacements songs.